Published: July 12, 2017 at 04:01 p.m. Updated: July 13, 2017 at 10:43 a.m.
As the Patriots prepare to defend their Super Bowl title with yet another talent-heavy roster compiled by Bill Belichick, it might be easy to forget just how many great players have taken the field for one of the greatest coaches of all time. With buzz gathering about what could be one of the strongest Patriots teams in recent memory, I thought I'd go back over Belichick's two-plus decades of head-coaching experience with the Browns (1991-95) and Patriots (2000-present) and assemble an all-star team from Belichick-coached players, which you can see below. Note: For simplicity's sake, I limited myself to players who played for Belichick as a head coach, excluding those who played under Belichick during his additional 20 years as an NFL assistant. Also, next to each player's name, I've listed that player's team and tenure under Belichick. 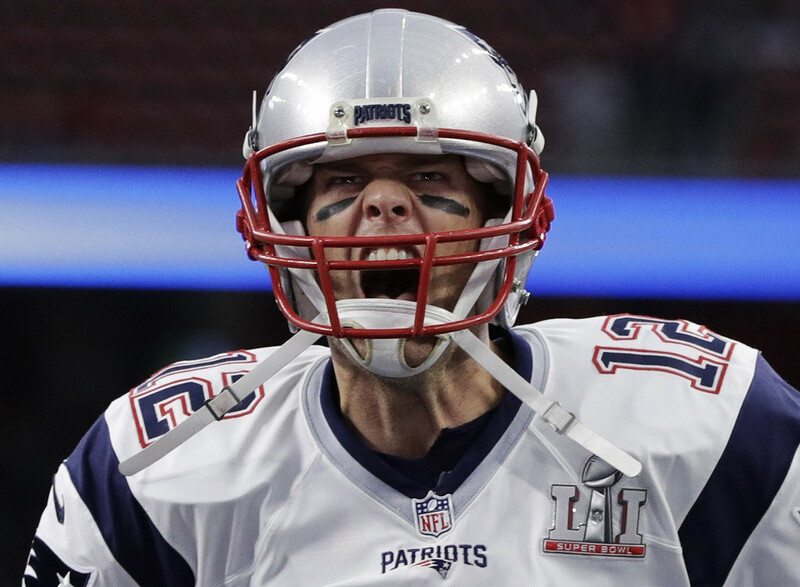 Famously drafted in the sixth round (199th overall) in 2000, Brady has since thrown for 61,582 yards (currently the fourth-most ever) with 456 touchdown passes (also the fourth-most in history), five Super Bowl wins and four Super Bowl MVP awards under Belichick's direction. Basically, he and Belichick have formed the best coach-quarterback combination of all time, edging out Tom Landry and Roger Staubach. And while Brady clearly has an abundance of inherent talent, I was surprised by just how great he proved to be under Belichick. You wonder how things might have turned out for Brady if he'd gone to another team (and coach). Dillon was a great talent who was hard to coach, and he'd been angling for a trade after seven seasons in Cincinnati when the Patriots gave up a second-round pick for him. The move paid immediate dividends for New England; in his first season under Belichick, Dillon ran for a career-high 1,635 yards, with 12 touchdowns and 103 receiving yards, helping the Patriots clinch the third Super Bowl title of the Brady-Belichick era. Dillon played two more seasons in New England, totaling 25 rushing touchdowns and 1,873 yards from scrimmage in that span. Moss was a 30-year-old veteran coming off the worst season of his career (42 catches for 553 yards and three touchdowns in Oakland in 2006) when Belichick sent the Raiders a fourth-round pick to acquire him. And, of course, Moss proceeded to set a single-season record for receiving touchdowns (23) for a 2007 Patriots squad that fell just shy of going 19-0. Moss notched 18 career 100-yard receiving games with the Patriots, who went 17-1 in that span. Moss was a great talent who didn't always fully utilize his ability, but Belichick obviously got it out of him that year. Edelman's quickness, athletic ability and competitiveness brought him to the forefront -- you might notice a theme developing here. The former Kent State quarterback and seventh-round pick has become one of the more prolific receivers in the league, catching 356 passes since 2013, the fifth-most in the NFL in that span. What he brings to the table is epitomized by the jaw-dropping catch he made in Super Bowl LI, snaring a tipped ball out of the clutches of three Falcons defenders. In the three seasons before Belichick traded for him, Welker recorded 1,121 yards and one touchdown as an undrafted, undersized receiver out of Texas Tech. In the next six seasons, Welker collected 672 catches -- setting a franchise record that still stands -- along with 7,459 yards and 37 touchdowns. He's probably the individual who did the most to bring the small slot receiver to prominence in this game. The former second-round pick has caught 10 or more touchdown passes in five of his seven NFL seasons, including his first three. Gronkowski is a competitor, but he's also a different kind of guy, as his various off-field antics and stunts have shown over the years. Guys like that aren't always the most sure-minded when it comes to football, but Belichick has instilled the right on-field attitude in him. A second-round pick in 2001, Light played in 155 games for the Patriots, starting 153. The three-time Pro Bowler and one-time first-team All-Pro was a tight end early in his college career and very athletic at left tackle. Mankins was kind of a surprise pick toward the end of the first round in 2005, but he exceeded expectations, starting all 130 games played with New England. Mankins made the Pro Bowl six times with the Pats, including five straight seasons from 2009 to 2013. He was a very strong player with a good base. The fifth-round pick in 2003 played in 121 games for New England and started 120, earning a Pro Bowl nod in 2007. Koppen could also play guard. Neal was an undrafted free agent who was a wrestler at Cal State-Bakersfield, which did not have a football program. It's very unusual for an offensive lineman to thrive in the NFL without having college experience, but Neal started 81 games (and played in 86) with the Patriots. One of three Cleveland Browns to make this list, Brown started as an undrafted rookie on a very successful Cleveland team in 1994. He was a huge man (6-foot-7, 340 pounds) whose career was nearly cut short in 1999 when he was temporarily blinded after being hit in the eye by an errant penalty flag. Many of the players on this list were hidden gems, but some were highly touted from the beginning, like Seymour, the sixth overall pick in the 2001 NFL Draft. In eight seasons with the Patriots, Seymour started 108 games, earning Pro Bowl honors in five straight seasons and first-team All-Pro nods in three. The 21st overall pick in 2004 started 148 games in 11 seasons with the Patriots. Wilfork earned five Pro Bowl nods and was named first-team All-Pro once in that span. For a 350-pounder, Wilfork was exceptionally athletic and light on his feet. As the fourth overall pick in 1994 -- Robert Kraft's first year owning the Patriots -- McGinest predated Belichick's arrival in New England by six years. But he was a steady contributor in the beginning of the Belichick era. In the five seasons he played under Belichick, McGinest had 38.5 sacks, the fourth-most of any Patriots player since Belichick took over in 2000. Of McGinest's 16 postseason sacks -- the most in NFL history -- 11.5 came under Belichick, including the 4.5 he recorded against the Jaguars in 2005, which is still a single-game record. He was a really great athlete and is an even better person. An undersized defensive lineman in college who was drafted in the third round in 1996, Bruschi started 139 games for the Patriots, including 117 for Belichick. In nine years under Belichick, Bruschi collected 11 picks and four pick-sixes. He had great recognition and was a great competitor. The third-round pick in 1997 started his career with Pittsburgh but made a definite mark in New England, collecting 48 sacks in his eight seasons under Belichick, the most of any Patriot in the Belichick era. He also earned a Pro Bowl nod and first-team All-Pro honors in 2007. Hightower was a first-round pick in 2012 and started 13 games as a rookie. He then led the Patriots with 97 tackles in 2013. He's a three-down player who makes a real impact -- as he showed with the strip-sack that helped key New England's epic comeback in Super Bowl LI. The first-round pick in 2008 started 93 games and made two Pro Bowls with the Patriots. He played all three downs and was a very athletic competitor with great speed. Law gave Peyton Manning a lot of gray hair, picking off the quarterback three times in the 2003 AFC title game, which was certainly a career highlight. The 1995 first-round pick made four Pro Bowls and earned two-time first-team All-Pro nods in his 10 years with the Patriots, notching 36 interceptions in that span -- tied for the most in franchise history. The former fourth-round pick ended his Patriots career with 22 interceptions in five seasons, including a team-high 10 in 2006, and is the current leader in picks during the Belichick era in New England. Samuel liked to guess, which sometimes led to him notching a pick and sometimes led to him getting beaten on the route. He was still outstanding in coverage, especially when playing the defense as called. Harrison started 62 games for the Patriots and made first-team All-Pro for the second time in his career in his first season in New England. He was a great player against the run. Turner was the best defensive player on the best defensive team of the 1994 season. Turner recorded an NFL-high nine picks for a Browns squad that allowed just 204 points and reached the Divisional Round of the playoffs. He also made the Pro Bowl and earned first-team All-Pro honors that season. Turner was selected second overall in the 1991 NFL Draft, which is unusually high for a safety. An undrafted free agent who made a stopover in NFL Europe before beginning his career stateside, Vinatieri played 160 games for the Patriots (96 for Belichick). Vinatieri made 154 of 185 field-goal attempts under Belichick and 227 of 230 extra-point tries. The third-round pick by the Cardinals in 1989 didn't see time as a regular punter until joining Cleveland in 1994. Tupa got unbelievable height on the ball -- it always looked like it was going to go out of the stadium. The fifth-round pick in 2008 might be as good a special teams player as I've ever seen. The six-time Pro Bowler is very fast, tough and athletic. In 13 years with the Patriots (12 with Belichick), Faulk was an all-everything guy and a very good kick returner, racking up 4,098 kick-return yards. He also had 3,701 rushing yards and caught 431 passes, which are astronomical numbers for a part-time player. You could play him anywhere on the field, and he constantly made big plays in crucial situations.